We live in a time when cloud storage is ubiquitous, and that might lead you to think that you do not need to have an internal drive anymore. But there is something that the Blu-ray drive will give you that the former wouldn’t, and this can be seen when you try watching a movie on your laptop or PC, the Blu-ray drive gives you the difference between a frustrating movie experience, or a great one. Picking the best Blu-ray drive from the endless list of drives available to us on the market can be very overwhelming, and this is especially true when if you are new to drives. Do not fret, though, for we have selected some of the best models of drives available on the market. You will definitely find one that fits your unique needs, and you most definitely will find one that falls in your budget range. To know more about these drives, and help yourself choose better, keep reading! You do not have to worry about spending so much to get a quality Blu-ray drive, or spending less and getting a drive with lesser quality than you would want. This model, the LG Electronics 14x SATA Blu-ray Internal Re-writer is a model that will suit your needs easily, and it comes at a budget-friendly price. 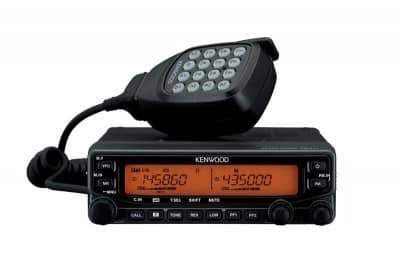 It has the same quality and as many functional features as the other more expensive models available on the market. 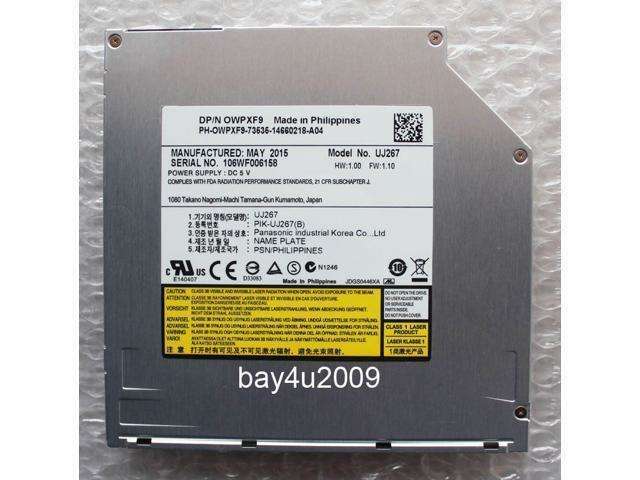 It has a versatile internal drive that reads as well as writes on different types of discs like the single layer discs, the dual layer discs, and the quad layer discs. This internal drive can also write on the older disc types like the CD-R and the DVD-R. This internal re-writer uses the M-DISC technology, where a textured surface is used and not the organic dye to write data on. This feature makes this disc more reliable, and you can store all your important data on the permanent optical storage. It has an expandable disc space of up to 128 GB. What this means is that you can store as much information as you want, as many movies, music, photos, and other documents on the quad-layer BD-R disc. This disc has lots of space. Let’s give you some perspective on just how big it is; this disc is the amount of 27 DVDs or 5 Blu-ray discs. With a maximum writing speed of 14x for Blu-ray discs and DVDs, you are assured of accuracy and less time waiting. This is made possible using the SATA 1.1a interface, and this is a user-friendly feature. The interface of this storage does replace the older parallel ATA storage interface, and it is more scalable and slimmer. It does not matter you are doing with this drive, whether watching movies or listening to music, this disc operates quietly, giving you a noise-free experience. It chooses the right playback speed automatically, and this is what lends it its noiseless operation. This drive goes with most operating systems like the Windows XP, Vista, 7, 8, 9, 10, Mac OS X, and Linux. You will enjoy all your movies with this drive when you get the Power BD-DVD 3D software. In conclusion, this is a great drive that will give you the most of optical storage. The Pioneer Electronics Internal Blu-ray writer is a super-fast Blu-ray writer, and if a super-fast writer is what you seek, this is for you. If you already have all the necessary software, this writer is just the perfect upgrade for you. It has a writing speed of 16x on BD-R and 14x on BD-RL discs, which will get a lot written in less time. You do not have to wait any longer to get that data on your disc. The amount of data it is able to write on a BD-R disc is about 25 GB and, on a BD-RL disc, it writes double of that. This writer is compatible with older versions of discs, like the DVDs and CDs. If you are the type that loves to watch Blu-ray 3D movies, then you can use the 3D playback feature of this drive. All that is required is to add all the necessary 3D playback software and you will get to watching your favorite Blu-ray 3D movies in no time. And this is also possible only if you have a 3D display system available. The internal drive has a Quickplay feature that helps to reduce the waiting time once the disc is inserted, and before your media starts to play. Having to wait for long to see your media play can be quite annoying, especially if you still are trying to decide on what to watch. The Quickplay feature of this drive makes discs load faster, giving you a great Blu-ray watching experience. Internal drives are known for their noises, but this drive has a tray cushion and a top cover that was designed to keep the noise level to the barest minimum. And this feature also helps to keep out dust and disc failure. This drive was also designed to reduce warping and vibration when it is writing media at high speeds. The drive’s external area is more prone to having this effect. The BDR-209DBK keeps the disc stable, giving a quality output. This is one Blu-ray drive you will love. 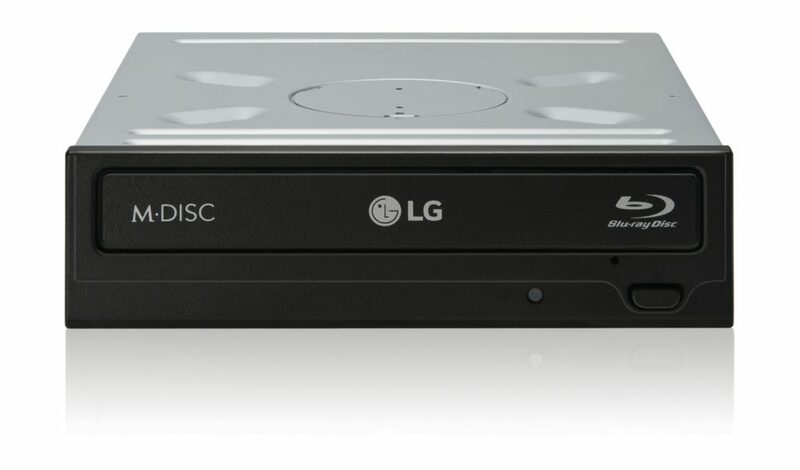 The Multi Blue Internal SATA Blu-ray Disc Re-writer is another LG product that is being featured on this list of the best internal Blu-ray discs. This drive has a speed of 16x, so, if you seek a drive with more speed, this is the one. This drive not only writes at top speeds on Blu-ray discs, but it also writes on a number of optical storage media like the DVD (16x), CDs, quad, dual, and triple layer BD-R discs. Another great thing about this drive is the fact that you can pair it with a 3D playback software that will let you watch Blu-ray 3D movies. But the catch is that you would need to have 3D glasses and a 3D display system to use it. Its multi blue feature lets you read and write media onto 4 different types of discs, with a single drive, allowing you to choose the best one that suits the type of media. The discs it is compatible with are DVD+R, DVD-R/RW, DVD-RAM, and Blu-ray. Not only does it have a writing speed of 16x, this drive lets you store more onto your BDXL discs. The three layers BDXL-R and BDXL RE discs can take up to 100 GB of data, while the quad layer BDXL-R disc lets you write up to 128 GB of data. This is ideal for those who need more storage space to write more data on. The drive was made with an M-DISC technology that helps you store your data for longer. It has a different textured recording surface that writes data instead of the common organic dye. It has a Silent Play feature that automatically detects the type of media and adjusts the playback speed for a silent operation. This drive works with Windows 7, Vista, and XP. It has a RoHS certification that assures you that no dangerous substance is used in the drive, making it harmful to the environment. This drive will give you a fast Blu-ray reading speed that will, in turn, give you a great high definition movie experience. It has a reading speed of 12x, and this means that you can playback your titles quickly and access any stored data on your disc. This drive is compatible with standard DVDs and CDs, and it can also read and write at a faster rate on these discs. On DVDs, the reading speed is 16x, and on CDs, the reading speed is about 48x. When you play the regular DVDs on this drive, it goes further to improve it to the highest quality, thereby enhancing your viewing experience. This drive is designed with an OTS technology that ensures that you get quality writing despite its speed. The discs that are to be written are tested to decide what the best burning method will be for a great output quality. You can watch 3D movies on this drive. What you will need, though, is a Blu-ray 3D playback software that has the ability to convert 2D movies into 3D media. It has a user-friendly interface and its drag and burn operation is quite easy to use. The dragging and burning happen in 3 simple steps. First, you drag and drop your desired media to the thumbnail; next, you click on burn, and once that is done, your disc is ready to use. Not complicated, you say? Your important data is stored and protected using the Disc Encryption II that gives you a password option and the ability to hide your files for your security. There’s an E-Hammer feature that gives you the option of permanently deleting your stored information. This feature helps you delete information without having to destroy them physically. There’s a Green Focus feature that helps you save 50% on energy costs. This feature allows your drive shut down when it is not in use, saving you some energy. Looking for the best internal drive for your Windows or Mac? Then this Panasonic UJ-267 is the one you should go for. It has the ability to burn Blu-ray movies onto discs at a speed of 6x. This drive can be used with BD-R TL and XL, and you can also store up to 100 GB of media on it. It uses a user-friendly SATA interface, and you can read and burn discs in a very short amount of time. This drive allows you insert your disc directly into the slot and not a loading tray that slides out. As you directly insert your discs into the slot drives, you have no external part to deal with. This makes you enjoy using your drive hassle-free. This internal drive is very slim, with super-fast reading and writing abilities, and it has a height of 9.5mm. Because of its slim design, it can fit, easily, into the SATA slot of many laptops like Dell, HP, Lenovo, Toshiba, Acer, Asus, Mac, and even Windows PC. You can read and write onto single and dual layer Blu-ray discs and also onto older versions of discs like DVDs and CDs. This drive has a very fast operation, but even with this, it is still noiseless, removing that noise of a running disc when you watch your movie on your PC. 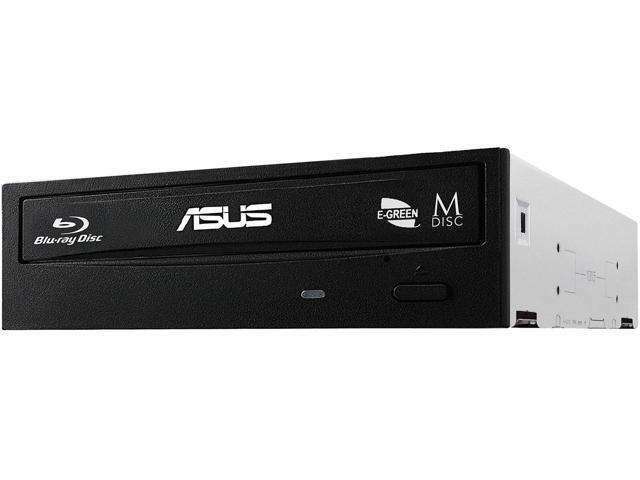 This drive is compatible with Windows 2000, Vista, 7, 8m, Mac OS 10.5, and Mac OS X. it is easy to install, and it gives you the ability to play Blu-ray movies on your MacBook. With the MCE internal Blu-ray drive, you can watch Blu-ray movies on your MacBook pro, and it is compatible with 13 inches, 15 inches, and 17 inches unibody models. This drive has its own Mac Blu-ray player software that lets you play Blu-ray DVDs on your Mac. It has a reading and writing speed of about 6x. It writes on both dual and triple layer Blu-ray discs. You can burn Blu-ray files onto 25 GB and 50 GB BD-R and BD-RE discs. You can also write up to 100 GB on BD-XL TL discs. It is also compatible with DVDs and CDs, and it reads and writes on DVDs at a speed of 8x and CDs at a speed of 24x. You can replace your MacBook pro’s internal DVD drive with the slim 9.5 mm slot drive. You can also load the discs directly onto the slots without you always having to worry about handling the delicate load tray every time you need to load a new disc. This drive is designed with an M-Disc technology that has a patented textured recording surface and not the usual organic dyes to burn your data. These M-Discs can accommodate up to 25 GB of data, and they are known to last a very long time. This drive is only compatible with Mac systems like Mac OX X 10.5 to 10.12. This drive is easy to install, and it comes with a set of instructions that makes it even easier. This model is not only pocket-friendly, it also lets you burn Blu-ray M-Discs directly from your computer. These discs are made to last for a very long time. And this is possible because of its textured recording surface, and not the common organic dye types that can be destroyed easily. This drive gives you the ability to store whatever you want on it, be it videos, songs, photos or some very important documents, you can store them permanently on this M-Disc. It accommodates up to 25 GB of data on a single disc, allowing you to store a large amount of data at a go. It has a writing speed of 14x, and it burns Blu-ray discs in no time. With this drive, you can write on three-layer BDXL-R and BDXL RE discs with data of up to 100 GB. Its quad layer BDXL-R lets you write up to 128 GB. It also features a 4 pin that lets you connect 2 SATA cables, and these 2 SATA cables split into two SATA connectors. This enables you power not just one drive, but two drives at the same time, giving you more burning and storage power. With its ability to detect the right playback speed for different media, it plays at a very silent speed. Hoping that the recommendations above have been of substantial help, below, we will be giving a little more information on how you can better choose an internal Blu-ray drive for your PC. Speed: When selecting a Blu-ray drive, make sure you get one that has a high writing speed, and this is useful especially if you are the type that very often needs to burn a lot of discs. And you need one with a writing speed of 14x to 16x, as these let you burn all your media quite fast. Compatibility: Blu-ray drives are not limited to reading and writing Blu-ray discs. You would need a drive that can write on the different Blu-ray discs like the single layer, dual layer, and the quad layer discs. The quad layer discs let you write up to 128 GB of data, and this perfect for those who want to store a huge amount of data. You should also look for drives that are compatible with DVDs and CDs. Noise Level: Blu-ray discs usually are known to operate at high speeds, so, you should get a drive that operates at a high speed, but also has a noise-reduction feature. System Compatibility: Remember that it is important that the internal drive you get must be compatible with your computer’s operating system. And there are drives that are specifically made for certain operating systems like Mac, and sometimes, these are better than the multi-compatible drives. Durability: Just like anything you buy, make sure that the drive you choose is durable. To ensure that you make a right decision, you should ensure that you read the reviews found on other blogs and websites. Good luck!